“The Pension Beaurepas” was first published in The Atlantic Monthly in 1879. In this story, James satirizes two types of American abroad in the guise of two families staying at the Geneva pension run by the redoubtable Mme Beaurepas: first, the Ruck family from New York City, who represent the rich, uncultivated “new money” families like Daisy Miller’s (Trevor wrote about her story here) who show little enthusiasm for the history, culture, or scenery of Europe, while demonstrating the principles of liberty, innocence and democracy; the other family, polar opposites to the Rucks, is the Europeanized American Mrs Church and her daughter Aurora (and, incidentally, our narrator). Mrs Church had brought Aurora to Europe from their American home sixteen years earlier when the girl was only five. I was not rich — on the contrary; and I had been told the Pension Beaurepas was cheap. I had, moreover, been told that a boarding-house is a capital place for the study of human nature. I had a fancy for a literary career. 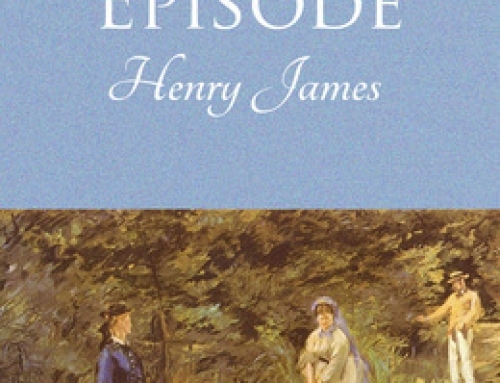 Already we can see the subtle presentation of the familiarly ambiguous James narrator: an ingenuous, studious, slightly pompous young man very like himself, with his own literary-cultural hypersensitivity, and a propensity for close observation of his fellows, while at the same time demonstrating a reluctance to engage fully in the life he so attentively observes — a timidity seen in Winterbourne, the disengaged narrator of Daisy Miller — and which culminates in a singularly unflattering (to him) episode at the end of this story to which I’ll return shortly. I shall focus here though on the second theme in the story: that of the American Girl. In Daisy Miller she’s portrayed, through Daisy, as a charming mix of frankness and spontaneity, brashness and vulgarity, but essentially, like all American girls, according to Winterbourne, “exceedingly innocent,” even when at her most coquettish and immodest. The narrator is clearly more attracted to Aurora, who is a less dauntingly assertive, more retiring version of the American girl. She and her mother are described by a fellow guest as having “a tournure de princesse,” and it is as a kind of democratic princess that James usually portrays young American women. “You are not an American girl,” I ventured to observe. She tells the young man she anticipates having “the most lovely time” in New York if the Rucks invite her there — because there at last she would have “absolute liberty.” Her mother adores “European society,” and Aurora knows she’ll be punished for the liberties she is taking at that moment with him — and her mother duly arrives and whisks her away in a closed cab. 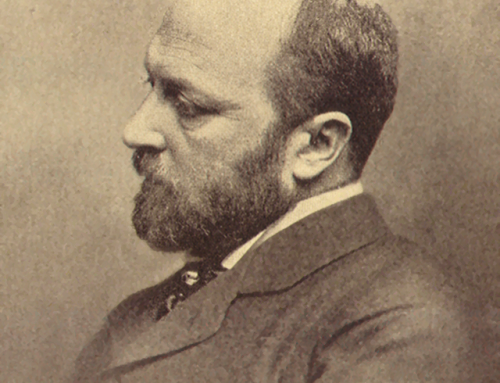 The story is, then, more of an example of what James later called “portraiture” — a sketch rather than a developed, textured story. But it is an interesting example of his developing portrayal of the consequences of the innocence of the American girl coming into contact with the decadence and hierarchical social rigidities and atrophied morality and customs of the Old World. He shows how both worlds have their attractions and charms, but both are flawed in their own ways. We meet Aurora again in a story published soon after this one. Its title is the term employed crucially by Mrs Church in The Pension Beaurepas, as noted earlier: it’s called The Point of View. I love your posts, Simon. They always remind me I need to make good on my promise to treat myself with an extended excursion into Henry James. 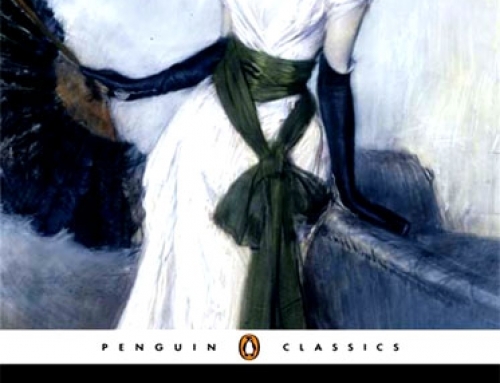 I haven’t read this one, but I love “Daisy Miller,” so this is another must. Oh, and I meant to ask: is your final paragraph a sneak peak of your next post? Btw, went to see the John Singer Sargent exhibition at the National Portrait Gallery in London last weekend; saw the superb portrait of HJ by him, done on the Master’s 70th birthday. Wonderful. Simon, thanks for your wonderful reading of “The Pension Beaurepas”. I have never read this before. I was glad to be given a reason to read it and to be directed to consider Mrs. Church’s “point of view” as I read. I enjoyed his “early style” here – the crystal clear sentences, the over-full explanations. I enjoy his later style as well: when he asks me to draw my own conclusions and when the sentences are challenging. But it’s great to revisit the earlier James. I enjoyed his frequent use of French in the course of the story, as if pointing up how often we also don’t understand the language we think we understand best. Mrs. Church, after all, appears to be fluent in European language and culture, but she is completely dis-fluent in the understanding of human nature. The story is, as always with James, about so many things. I’ll pull this thread: the issue of running away. In 1879, James would have been in his mid-thirties, and one of his own issues was just that – what constituted running away and what constituted necessary self-preservation. I think it’s important to bear in mind that James was about 21 when the American slaves were emancipated. Emancipation is his great topic, and his stories about Americans in Europe are really about necessary emancipation. This story, of course, is literally about running away. Aurora, the American girl, wants to run away from her mother, and Ruck, the husband and businessman wants to run away from his marriage and his business, in alternate succession, and in combination. With his “obscure hurt”, did James run away from serving in the civil war? By pursuing his vocation in Europe, did he run away from taking care of his increasingly dependent parents? How could he defend his break – both with his parents and with his own country? He doesn’t really, except for this. 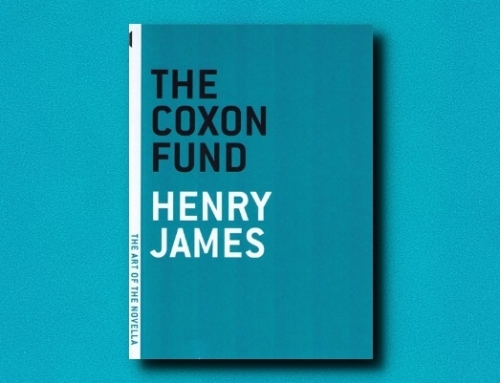 Later on, he becomes “in loco parentis” for his invalid sister; he becomes constant intellectual correspondent (and goad) for his brother William, and he reaches a point of success where he can pay some of his parents’ bills (despite the fact his father had once been immensely rich). And he argues, in almost every one of his books, that emancipation is not just the emancipation from a plantation owner; it is also breaking away from anyone or any society that has unfairly taken possession of you. So I think he is interested in the problem of breaking free, or, to be very dramatic, the problem of emancipation. In “The Ambassadors”, he writes about how a practical, dutiful middle-aged man breaks free in Europe, not to be wild, but simply to have the time to really see other people, really understand them. In “The Pension Beaurepas”, Ruck is a businessman who has escaped to Europe to recover from being overwhelmed by business problems. It is clear he has run away, and at the end when he decides to take the family back to the states, I have the feeling it is to face the music, whether that music is merely getting back to work, or whether it is facing bankruptcy, or worse. I wasn’t upset by Ruck’s decision to abandon Europe; returning home, in his case, seemed absolutely necessary. But he is left with the problem that his marriage requires him to makes more and more money. So in a way, his next problem of emancipation is from his wife. Aurora wants to run away, and according to Madame Beaurepas, she wouldn’t be the first girl to seize just that chance at Madame’s pension. The reader wishes she would. The mother is insufferable on several fronts, but the worst is her assumption of ownership regarding her daughter’s soul. This is a recurring theme for James. His books are often about an innocent young person struggling to break free of dependence on a parent, as in “The Golden Bowl”, for example. These relationships are about power and ignorance, and James is most interested in the moment when an adult dependent child realizes that something is wrong about the relationship. When James talks of innocence, the really means ignorance. He might be talking about how an ingenue may be innocent of the wicked ways of the world, but he also may be talking about how an adult dependent child is ignorant of how wrong a parent is to assert complete control over a son or daughter. James, of course, struggled with this issue himself. His own father was a towering, confusing, and controlling figure in his life, and it almost seems as if Henry must go to Europe in order to escape the father. I take heart from Madame Beaurepas – she predicts hat Aurora will in fact run away and maybe pretty soon. After all, in a key scene in the garden, we see her practicing her wiles on the young writer. One of the things that I love about James is that he is so interested in that moment, that volcanic moment, when a person realizes the truth about a situation, about another person, about a constellation of people. In this story, the writer realizes that he cannot be the romantic hero who runs off with the girl. He also realizes that Mrs. Church, with all her steely, reserved power, is a liar. He realizes that she is such, and that she has no qualms about being so. In her narcissistic, entitled way, she gives herself permission to lie to anyone in order to “save” her daughter. The mother’s remarks cause the writer “agitation” because he suspects that she is not telling the truth; he gets up, he is bothered, he asks himself, even now, whether the mother was lying, and this has bothered him enough that he is now “almost ashamed.” I think he is ashamed because he does nothing to defend the Rucks from her possible lie. What is interesting in this story, however, is the writer is far more interested in his relationship with lying than he is in realizing that he is in his hypothetical relationship with Aurora. The possible lie that Mrs. Church tells, and his possible disloyalty to Mr. Rucks, “agitates” him. Aurora merely interests him. James is practicing – practicing for the section in “Portrait of a Lady” (published 2 years later) when Isabel stays awake all night in order to let herself realize that her husband has been lying to her, and lying all along. That it takes all night is because the lies have deep roots and long shadows. Not only was her husband lying to her, but her best friend was lying to Isabel as well, and her whole life – her marriage – her friendships, her family – is based on a web of lies. Similarly, Maggie Verver of “The Golden Bowl” has to have the same volcanic experience; she has to realize the truth. Maggie is like Aurora: she is the sole important possession of a parent, and her adulthood has been blighted by acquiescing to that role.. Realization is all. Similarly, James’s writer, in “The Pension Beaurepas” acquiesces to Mrs. Church. He collaborates. In a way, Aurora is collaborating as well. She is her mother’s slave – although James knows it would be wrong to use that word, considering the conditions that American slaves endured, and considering the death that the war of emancipation caused. Nonetheless, slavery and how one emancipates oneself are James’s great topics. It is interesting that James’s liars are often collectors and curators (Isabel’s husband; Maggie’s father, Mrs. Church, in her way). In “The Pension Beaurepas”, Mrs. Church is a collector of information, and she functions as her daughter’s owner, her master. Her “point of view”, however, is that she is no such thing, she is merely her daughter’s mother, acting with consideration of that fact and on Aurora’s behalf. Aurora herself is beyond ignorance; she already knows she must run away, she already knows that her adulthood is something she must seize. What she doesn’t know is how dangerous it will be – maybe just as dangerous as her present trajectory with her mother. About the title: isn’t ‘beau repas’ a beautiful meal? James is talking about the opportunity to understand what people are like, what makes them tick – that’s the beautiful meal. The great repast is a situation that forces people to reveal their hand. Understanding is all, “apprehension” is all. Understanding in James often occurs in a moment of “agitation” – because understanding people is often, to these characters, a matter of life or death. People are, after all, sometimes liars. People do, after all, sometimes enslave their children or their spouses. A relationship can be an enslavement; freeing yourself from that lie is the topic. You raise a number of interesting points, Betsy. I agree with your identification of emancipation as a central James theme; oppression is a factor in many of his works of fiction – and confinement (the cage motif). There’s money as well, of course: its lack, or the corrosive effect of its possession. I really appreciate your exploration of James, Simon. I was 25 when I first encountered James. My husband and I were living in Tokyo. He was a graduate student and I was working in the middle school of a private K-Ph.D school. So right next to my middle school was the university library, with a huge collection of American literature. For the two years we were there, I read many of the works of American literature I had not yet read. I was getting ready for the master’s degree I wanted to earn when we got back. As an under graduate, I had found the huge lecture system at Harvard so lifeless. Only the very great could make it come alive. The Aoyama Gakuin library in Tokyo, and all my free time, was my cup of tea. I read and read and read, as I have never read in my life. It was middle-schoolers in the morning, Tokyo in the afternoon, and reading at night. That was my life for two years, and I loved it. It helped that my husband was a graduate student and deeply driven by his own work. I also think this: when you engage deeply with a foreign country, the experience also forces into an exploration of your own country. Tokyo at that time was wracked by anti-American demonstrations. I was startled by the force of their opposition to our war in Vietnam. I felt compelled to think about what it means to be an American. So what better way – for me – than to read the literature. When I got to James, everything stopped. I recognized myself. This man from another world and another century understood me. So I paused and read as much James as I could. When I got to Maggie Verver, I felt myself and my situation revealed. Maggie Verver’s father lived through his relationship with her, just as my own father lived through his relationship with me. Maggie’s reality was distorted because of it, as was mine. Her marriage was an arrangement to her until she understood this. The terrible struggle Maggie had to make to truly apprehend the truth of her situation felt familiar to me. What is fascinating to me about this story is that James has Aurora possessed already of the knowledge that she is in thrall to her mother. She has already realized this fact, and she is cool about the factness of the situation. How did she get there? How did she “see” what she so clearly now sees? I hope you continue with your investigation of James. Your writing is so clear that you inspired me to find this story on line, inspired me to struggle with my rebellious printer, and inspired me to find the time to read it. It is also interesting to me that you, from England, would engage with James. This is a conversation I have been waiting a long time to have. I have always wanted to take a course on James, but there’s never been one available when I went looking. I agree with you – James is so much more than a one-note tune. He is so good because his observation of human nature is so complete. When he has the Frenchman mention how icy the beautiful American girls can be and how passionate the gawky ones can be – I thought, wow. I find his use of the onlooker really interesting, and also his use of gossip and the way friends talk over the situations they find themselves in with other friends. But I also love his uses of the symbolic to deepen his perceptions, intensify them. The confinement and the cage motif, for instance (as you point out) – works so well. And money. Oh, money. Another great American topic. And the whole issue of point of view. I had taken a course in Freud in college. Was I not ready? Was I not paying attention? I don’t know. James is my Freud. He speaks my language. Now – on the topic of language – James is provoking! But those jungles of thought in the later books appeal to me as much as the clarity in the earlier writing. They mimic my own sense of reality. You could have chosen Hawthorne or Melville or Twain, and I would have been greatly interested in what you had to say. Or Faulkner or Fitzgerald. But I might not have replied. (Oh, maybe Faulkner, because he had a similar effect on me back in Tokyo – history, race, slavery, abandonment. But Faulkner is another story. And when I think of Faulkner, I am distracted by Martin Luther King – his life, his language.) For me, James is the man.Oh the hours I have spent with him! I am the moth and he is the flame. So what brings you to James? Another delightful piece, Betsy: thanks, as I believe they say in some circles, for sharing. It was fascinating to read how you came to love HJ. In response to your query, I was first introduced to his work as an undergrad. My tutor was the English poet Charles Tomlinson, a great Americaphile. He gave me a course of reading of James’s works, including some of the longer short stories, and I was hooked. I’ve returned to him on and off over the years. We studied the earlier novels as part of my university course at Bristol, but I steered clear of the later, less funny stuff (to paraphrase Woody Allen) for some time, deterred by the formidable reputation of his late style. In recent years I’ve worked my way through most of them, and found them less forbidding than anticipated. But I wanted to read all the collected stories, starting with the Everyman hardback vol. 1. It’s taken over two years, reading one or two a month on average, though I also enjoyed the Penguin collection of stories ‘The Figure in the Carpet’ and others – all on the theme of artistic endeavour. On the subject of his use of French in ‘Pension’: the later version of the story in the New York edition has some changes, mostly with use or not of italics. I think it was his way of suggesting conversation being conducted in French, rendered in English – rather like the way (irritatingly) in movies the dialogue of characters supposed to be understood to be speaking in a foreign language are made to speak in English with an appropriately inflected accent. I presume you’ve read Leon Edel’s wonderful biography; your insights into HJ’s life suggest a deep knowledge of his impulses and influences. That ‘obscure hurt’ business is intriguing. I’m not sure I entirely agree with your reading of Aurora and her relationship with her mother – but it’s a shrewd and persuasive argument, and I’ll need to give it more thought. thanks again for taking the trouble to write about your experience of finding HJ. Btw, I’ve written about ‘The Author of Beltraffio’ on my blog, and on Faulkner’s ‘As I Lay Dying’ – though I wouldn’t claim to know much about his other fiction, not having read him for many years; I’m slowly returning to him. I’m a big admirer of Melville and Hawthorne, so who knows, I might also feature them at some point here or on Tredynas Days.